With our rocketry unit fully underway, students prepared for their first launch on Friday, October 13th. Every year, I am amazed at the level of creativity that is shown by each group. Although students have access to the same materials, each rocket design is unique. While some groups have already recognized some “flaws” in their design, they were eager and willing to try out their ideas and see how their rockets measured up against their competitors. This attitude is the heart of the design process and I’m so proud of the teamwork that students have demonstrated thus far. 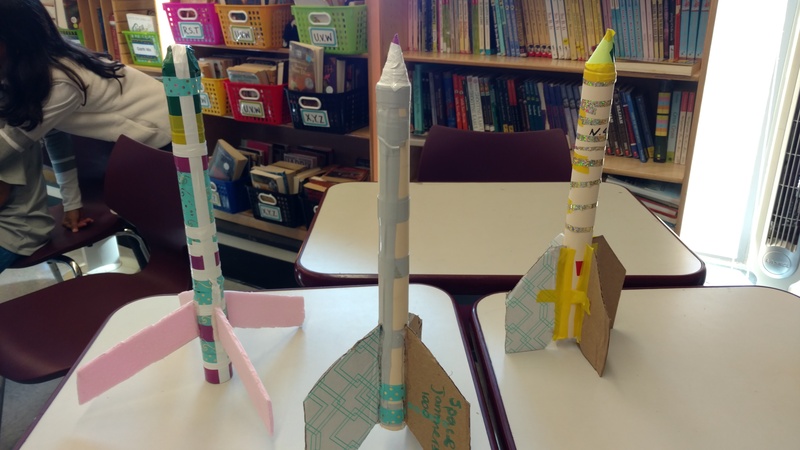 Check out the variation in nosecone and fin design in these rockets!